Afternoon tea is a popular time in our household. In fact, it usually attracts visitors hopeful of a cuppa, a chat, and a small slice of something tasty. I love this tea cake recipe. You can whip it up in under ten minutes (plus baking time), and it makes a moist cake that goes well with a robust cup of tea or an afternoon coffee. Tea cake was one of my Nana’s favourites. 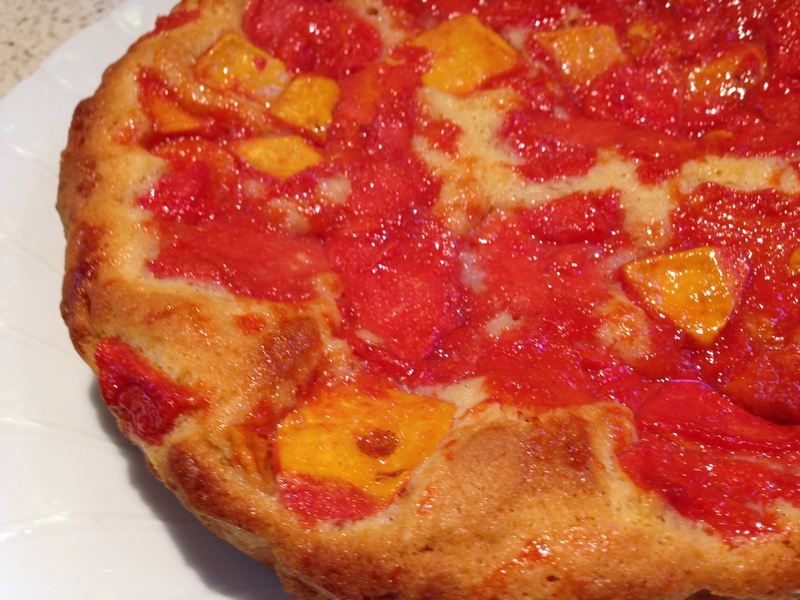 Traditionally it is topped with apple, but it seemed the perfect way to use up some of my bumper guava crop! 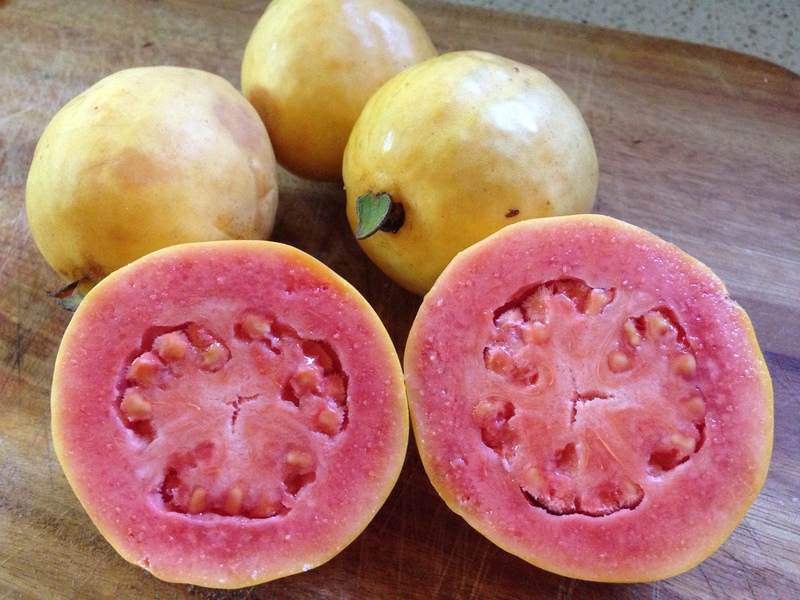 The guava topping is fragrant, sweet and slightly exotic. Paired with a hearty cup of Irish Breakfast Tea it truly is a little piece of heaven on a plate. 65g x (5 tablespoons) softened butter, 2 x teaspoons vanilla extract, 1 x egg, 1/2 x cup sugar, 1 x cup self raising (self-rising for my USA friends or 1 cup of all purpose flour, 1 and 1/2 x teaspoons baking powder and a pinch of salt, sifted together), 1/3 cup plain yogurt, 1 x 20cm round cake tin, paper lined. Wash the guavas and remove the tips of both ends. Halve and scoop out the seedy centre. 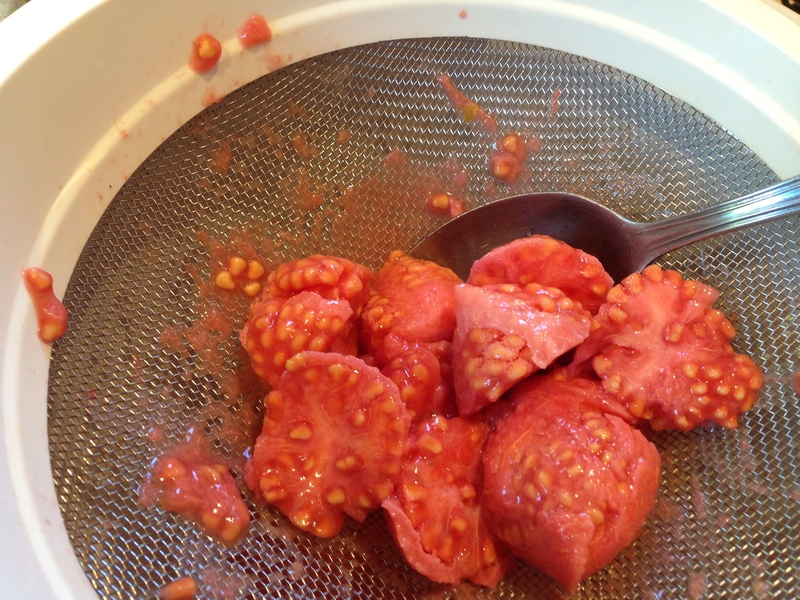 Press the centres through a sieve. Discard seeds. This should yield about half a cup of pulp. 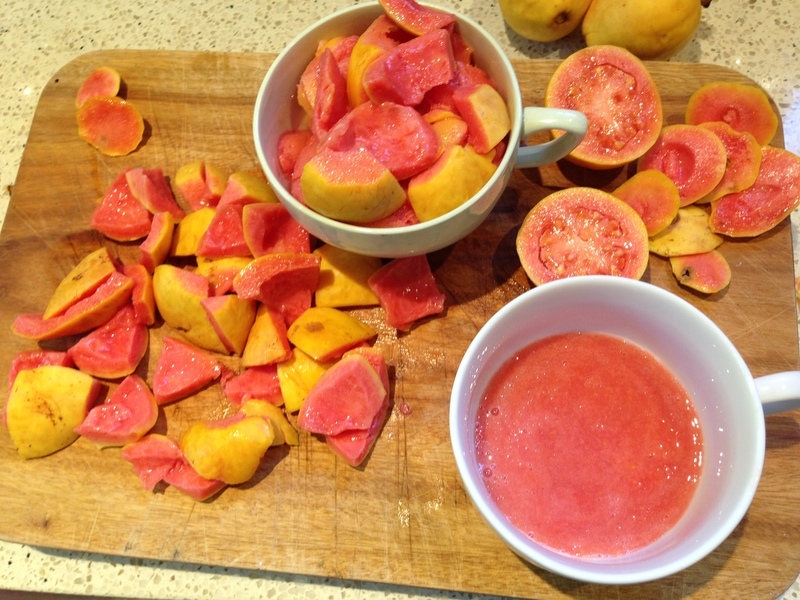 Slice the guava flesh and place the flesh, the pulp, the lemon juice, zest and sugar in a saucepan. 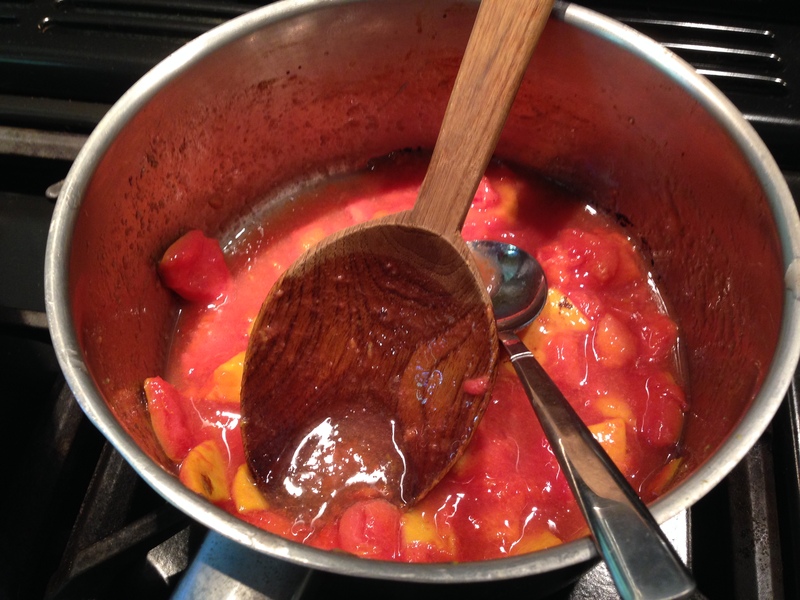 Cook over medium heat for two or three minutes until the fruit is soft and fragrant. Remove from heat and allow to cool. Place butter, sugar, egg and vanilla in bowl and beat until thick and creamy (about 2 minutes). 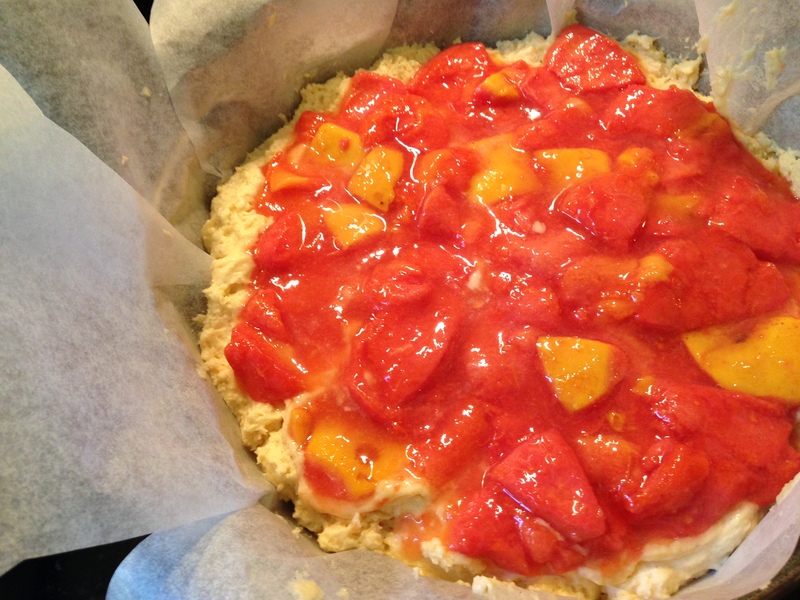 Fold through the yoghurt and flour until combined, and then spread the batter into your paper-lined baking tin. Spoon about a cup of the gauva compote over the top of the batter. Cook for thirty minutes. Check your cake by poking a skewer into the centre. If it comes out clean it is ready. Leave in a little longer if batter still clings to skewer. 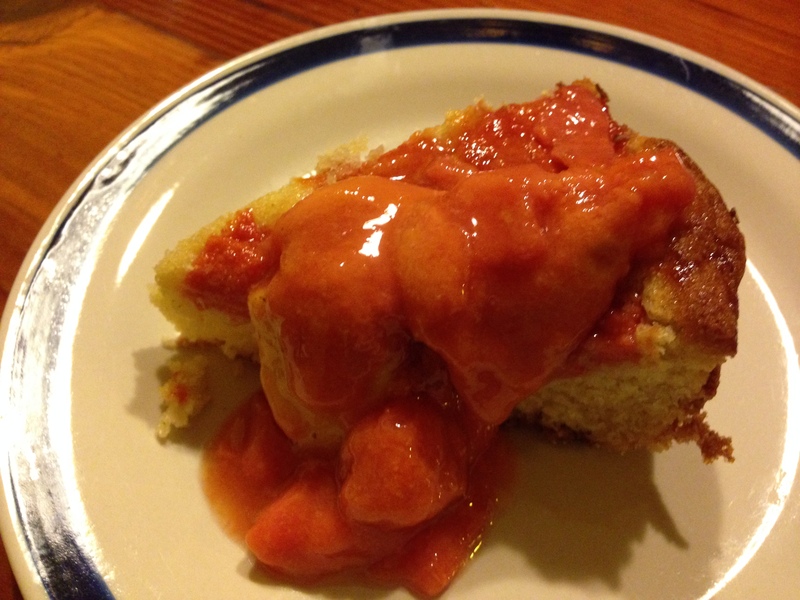 Serve warm with cream or ice-cream and the remainder of the guava compote. I apologise that this is the only picture I have of the cake being served but it got eaten before I could get a better one! The cake can also be enjoyed served cold, sliced and spread with butter. It is best eaten on the day it is made, but kept covered or in an airtight tin will last for three days. It freezes well too. 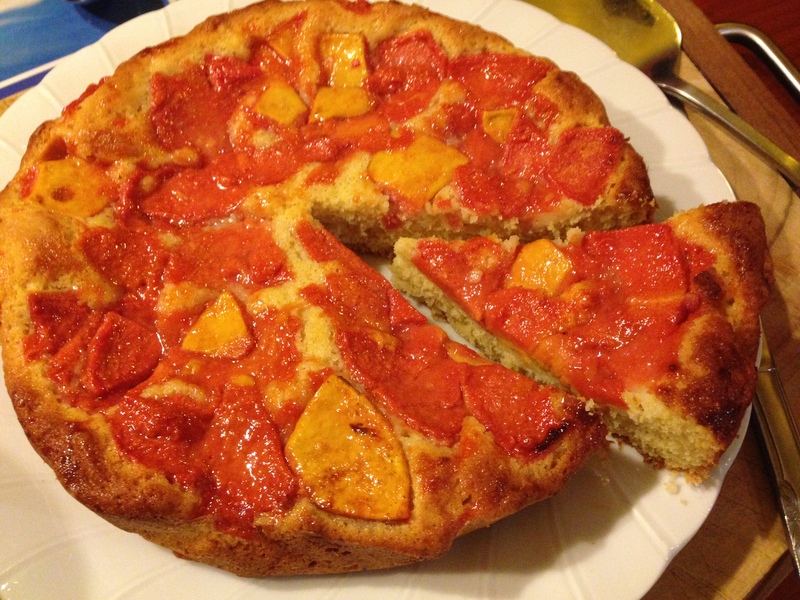 This entry was posted in Cakes and desserts and tagged afternoon tea, easy guava recipe, fresh guava recipe, gauva cake, guava dessert, guava recipe, tea cake recipe, teacake recipe by Cauldrons and Cupcakes. Bookmark the permalink. I’ve always wondered if you can eat/cook the skins of these. Thank you.